BoomShake will be Drumming and Chanting at the May Day March on May 1st, 2017. Supporting in the fight for migrant and worker justice! In the Bay Area our communities face increased state and economic violence. Only by building a mass movement in the street that unites all of our struggles can we win our fight for justice and dignity. 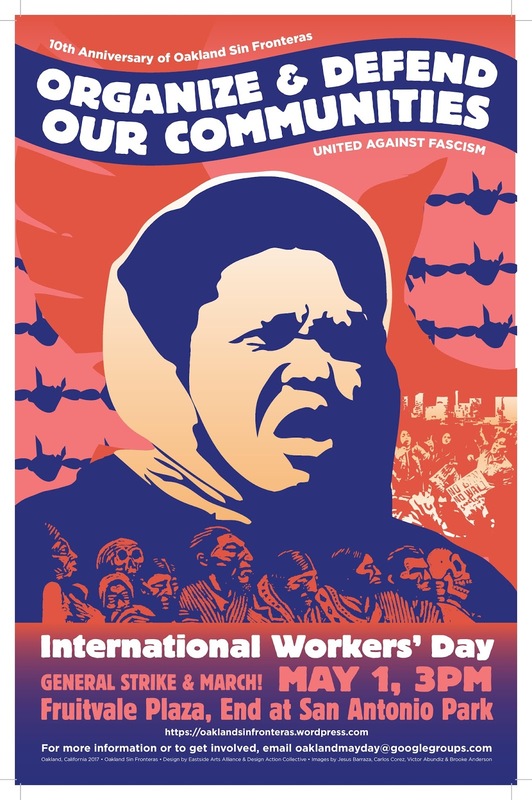 International Workers’ Day has been a time to uplift the struggles, honor the sacrifices, and celebrate the triumphs of working people across the world. As we stand on Ohlone Indigenous land this May 1st, we march in celebration and in resistance with our families, friends, neighbors, and co-workers in our communities, and in solidarity with working people across all borders, to continue the historic struggle against economic and social inequity. With a Trump administration in power, a rising fascist tendency, and growing economic and political oppression of people everywhere, this May Day we march in the spirit of ORGANIZING AND DEFENDING OUR COMMUNITIES from state violence and capitalist exploitation, and toward liberation and self-determination. 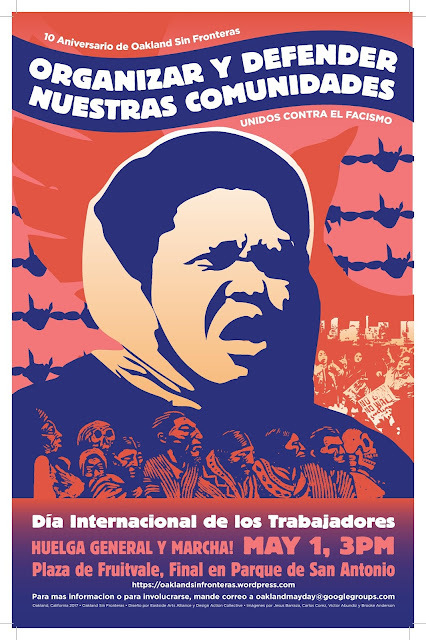 As part of the May 1st March and Strike in Oakland (organized by Oakland Sin Fronteras) and a call to action by beyondthemoment.org, Oakland community groups are coming together to provide a day of activities for young people including, art-making, music, dance, teach-ins and more. Please Join Us!! Check back for schedule/activity updates and more information. Calling young people, youth workers, educators, caregivers and friends. As we stand on Ohlone Indigenous land, this May 1st we will create and hold space for children and youth to be in celebration, resistance and commemoration of the struggles, sacrifices, and triumphs of working people across all borders. Abundant Beginnings, Boomshake Music, Colorful Mamas of the 99%, Rice and Beans Childcare Cooperative, Sama Sama Cooperative, Hand in Hand: The Domestic Employers Network and the Bay Area Childcare Collective.